Marc by Marc Jacobs boutique at Terminal 1 of Changi International Airport, Singapore, has an open concept where passengers can easily enter the store without pull or push the door. 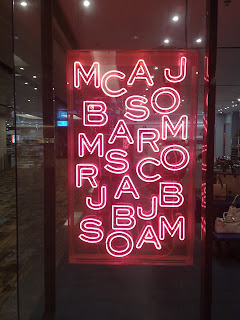 The window display is almost not exists except for a box filled with pink-colored neon letters. 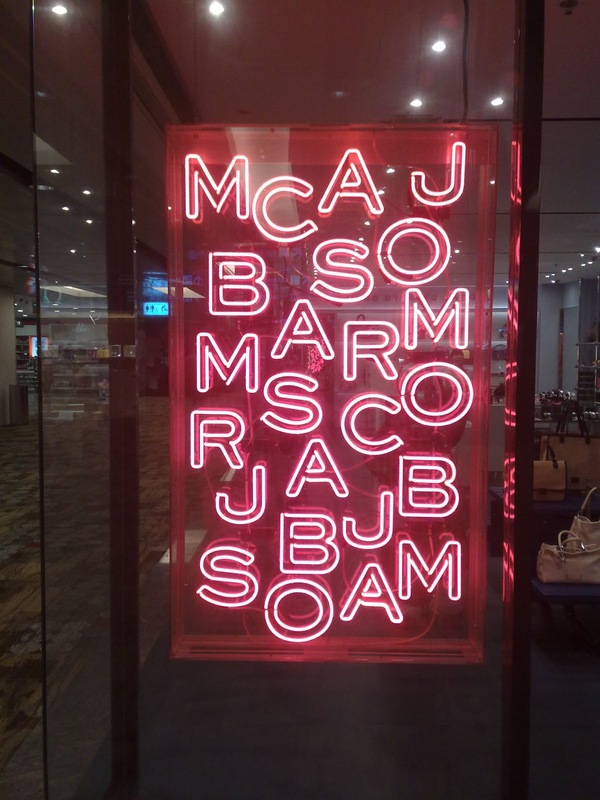 The letters consists all the characters needed to write the MARC JACOBS name. 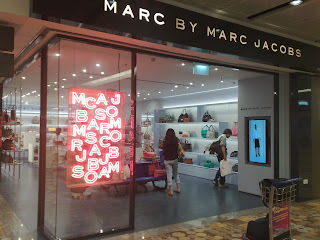 If only it is added with one 'Y' neon letter then this box is a complete letter play to write MARC BY MARC JACOBS.